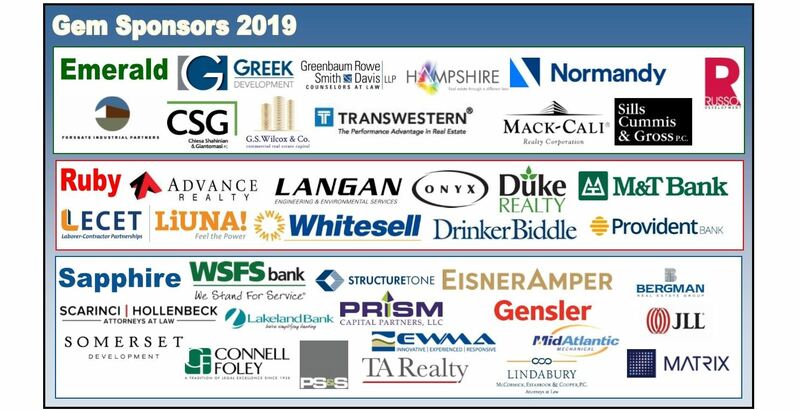 The 32nd Annual Commercial Real Estate Awards Gala will be held May 16, 2019, at The Palace at Somerset Park. Gala tickets are nearly sold out: Call Donna Laterza for availability (732-729-9900). Preference will be given to NAIOP Members. Scroll down to see who's coming! Tickets are transferable, but not refundable. Tickets will be mailed in early May. For Grand Sponsorships (very limited), please contact Donna Laterza at 732-729-9900. Watch the 2018 Gala highlight video. Read the 2018 Gala Journal. Gala photography and videography by Gary Gellman, Gellman Images.